The City of Santa Fe Springs owes a lot to the presence of two railroad lines. 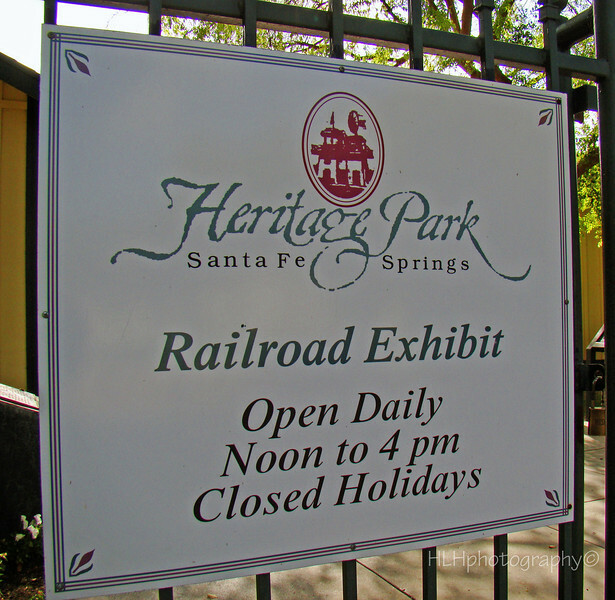 The railroad exhibit tells the story of the City's railroad history through the careful restoration of the Santa Fe Railway depot, tracks and signals. At the center of this exhibit sits the No. 870, a restored steam locomotive, and its tender, along with a refrigerated boxcar and caboose. Although no longer operative, this ATSF engine reminds visitors that the little town of Fulton Wells was so pleased to have a railroad line built through here in the 1870s that it changed its name to Santa Fe Springs. The exhibit includes two meeting rooms, a picnic area and a rose garden.